Hunting is among the most ancient of human activities, and still plays a major role in obtaining food for many people worldwide. 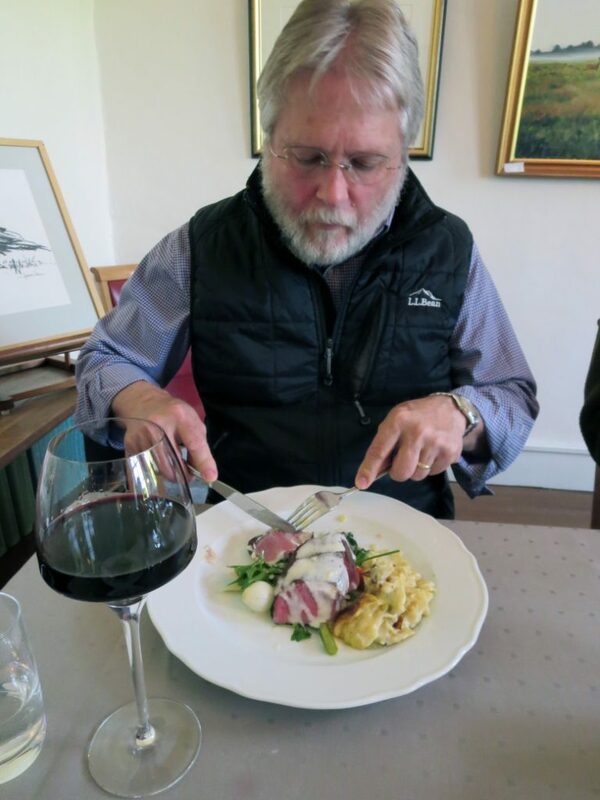 Dr Shawn Riley and Dr Göran Ericsson work to understand the volume and distribution of wild-harvested meat, how this meat moves through society, and the effects of sharing the harvest on people’s perspective toward traditional uses of wildlife such as hunting. They also investigate the factors that influence people’s perception of hunting, and how hunters distribute their yields in different situations. Recreational hunting provides funding for wildlife management that contributes to conservation, and is one of the primary methods for controlling populations of large game animals. Meat obtained from hunting can also form an important component of people’s diets, reducing the reliance on intensive farming practices. In many areas, there is a great deal of legislation tied to how and when hunting occurs, to promote sustainable populations of wildlife and protect people’s safety in surrounding communities. If support for hunting is to be maintained, it must be relevant and acceptable to society. If support declines, this might present a major challenge to how wildlife is managed in many parts of the world. Thus, public support for hunting is key to preserving this traditional activity, which contributes to population control, culturally significant food supplies, and is a catalyst for social interactions between hunters and non-hunters. As more and more people move into urban areas, political influence is increasingly concentrated in communities that have less of a direct connection to using natural resources in their daily lives. However, this political power shapes laws that affect the usage of natural resources in the rural areas surrounding their communities. For traditional uses of natural resources to persist, support and acceptance from people in urban populations will be necessary. Given these shifts in the human population, a greater understanding of factors that influence the public perception of hunting is needed, taking into account the dynamics between urban and rural populations regarding hunting perceptions. To address this, a productive US-European collaboration is developing between Dr Shawn Riley of Michigan State University and Dr Göran Ericsson of the Swedish University of Agricultural Sciences. This partnership started when Dr Ericsson hosted Dr Riley, who was on a Senior Fulbright Fellowship during a sabbatical leave. Dr Ericsson, himself a postdoctoral Fulbright Fellow in the 1990s at the University of Wisconsin, was no stranger to international collaboration. His graduate student, Per Ljung, then spent a half-year at Michigan State University, while Dr Riley’s doctoral student, Amber Goguen, spent nearly a year in Sweden, working with Dr Ericsson and making vital contributions to the collaboration. Although wild-harvested meat has been a central topic of Dr Riley and Dr Ericsson’s shared research, the pair also investigates public perceptions of large predators, moose and wild boar. These sorts of relationships are invaluable to developing a shared understanding of the influence various forms of culture and governance have on the natural world,’ says Dr Riley. There are many factors that potentially influence a person’s perception of hunting. Previous research determined that social relationships with hunters and personal experience with hunting are both strongly associated with an acceptance of hunting practices. 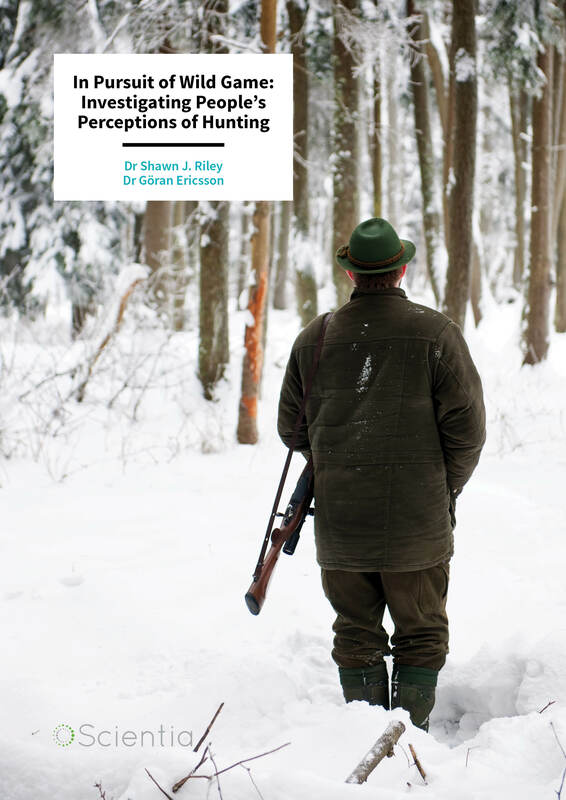 Many socioeconomic factors are associated with views of hunting – men, older generations, less educated populations, and those from rural backgrounds are more likely to take a favourable stance towards hunting. In Sweden, urbanites with parents who also grew up in urban areas are less likely to favour hunting, while those who grew up in rural areas or had parents who did are more likely to accept hunting. It has also been found that people are far more accepting of hunting that is done with the purpose of obtaining meat, rather than hunting solely for sport or to obtain trophies. In Sweden, as in most of Europe, it is legal to sell wild-harvested meat through commercial channels so that it can be obtained in grocery stores, though it is predicted that most wild meat is obtained through trade and barter within social networks, similar to those found in the United States. Approximately 2% of meat consumption in Sweden is from wildlife, and many stores sell both farm-raised and wild-harvested meat. Drs Riley and Ericsson and their colleagues wondered if exposure to wild-harvested meat in urban populations influenced people’s perceptions of hunting. The team predicted that urban individuals who consume wild-harvested meat would be more likely to harbour positive perceptions of hunting than those who did not eat wild-harvested meat. They sent questionnaires to 1067 randomly selected Swedish residents, aged between 16 and 65, with questions related to hunting and consumption of wild-harvested meat. Selected individuals were sent a pre-notification a few days prior to the full survey, followed by a thank you note. The team’s survey asked about the individual’s personal experience with hunting, family members and friends that hunt, how often they ate wild-harvested meat, whether or not they felt hunting was cruel to animals, and if they were ever hindered from doing activities in the forest during hunting season. The team received 488 useable responses, but since they wanted to hone in on non-hunters, they excluded responses from 31 participants who indicated that they had hunted in the past year. The final set of 457 non-hunter respondents were evenly split between men and women, and included mostly current city dwellers, about half of which had spent their entire lives in a city. They found that wild-harvested meat was consumed at least once a year in 65% of non-hunter households, and this consumption was strongly associated with positive views of hunting. Of the non-hunter respondents, 80% held favourable views of hunting, with the biggest factors in favourable views being social relationships with hunters and consumption of wild game meat. Dr Riley and Dr Ericsson suggest that a broader distribution of wild-harvested meat could help to improve people’s views of hunters and hunting. The research team’s next goal was to tease out the distinctions between rural and urban non-hunters. Ongoing high levels of urbanisation and the political influence of urban populations on rural communities mean it is more critical than ever to shape perspectives of hunting if rural communities hope to hang on to their cultural traditions and continue aiding in controlling wildlife populations. As highlighted by the team’s survey, two of the most important factors that influence a person’s perception of hunting are their personal relationships with hunters and whether or not they eat wild-harvested meat. The researchers predicted that urban non-hunters would harbour more negative views of hunting than their rural counterparts. To probe the question of whether rural non-hunters view hunting more positively than urban non-hunters, Dr Riley and Dr Ericsson focused their attention on the north-south orientation of Sweden. Northern Sweden is largely rural, while southern Stockholm is highly urban. They randomly selected 150 residents of each of the 26 counties in the Stockholm region, and in each of the 69 counties of the rural northern regions, to send hunting perception surveys to. In total, 3,900 urban individuals and 10,350 rural individuals received surveys. The contact strategy involved an initial pre-notification of survey selection, followed by the full questionnaire, and then a thank you note. This survey included questions about the respondents’ current community, such as the population size of their town, along with demographic questions. They were asked if they hunted, whether or not their parents had hunted, if they had any friends that hunted, and how often they consumed wild-harvested meat. Finally, respondents were asked to rate their attitude towards hunting, along the scale of positive, accepting, hesitant, and negative. They were also asked how they felt about hunting large animals, such as moose and deer, for recreation versus for meat. From this second Swedish survey, Drs Riley and Ericsson received 1,596 urban non-hunter responses and 4,211 rural non-hunter responses. Many rural non-hunters reported having friends (82%), household members (26%) or parents (34%) who hunted, while rates were much lower among the friends (52%), household members (3%), and parents (11%) of urban respondents. Trends for wild-harvested meat consumption were similar, with 81% of rural respondents eating wild game at least once a year or more, while 62% of urban respondents reported the same. Attitudes also reflected these trends, as 70% of the rural northern non-hunting Swedes reported favourable views of hunting, while only 48% of urban non-hunters did. Among all groups, there was considerably greater support for hunting for meat than hunting for sport. Reflecting the team’s earlier reported trends, those who knew hunters personally or grew up with hunting parents were much more likely to view hunting favourably, as were respondents that regularly ate wild-harvested meat. Once again, these results support the idea that linking hunting to positive outcomes, such as social relationships or tangible resources like meat, can help fuel positive perceptions of traditional uses of wildlife such as hunting. The effects of sharing and consuming wild-harvested meat were practically the same in rural and urban settings – wild-harvested meat simply was more available in rural locations than cities. Programs or incentives that help hunters broaden the distribution of wild-harvested meat, whether in urban grocery stores or through broadened social networks, could help improve public perception of hunting as a means to obtain food. A simple gesture that every hunter could use to improve the relevancy of hunting is invite someone to dinner! In the US, the sale of wild-harvested meat is prohibited, but people may legally obtain such meat through social and trade relationships with hunters. This is different from European countries, where people may easily obtain wild meat without personally knowing a hunter. Although commercial distribution of wild-harvested meat can easily be tracked in Europe, understanding the networks through which such meat is traded in the US is more complex. ‘We are aiming to better understand the dynamics in the US and how they compare with Europe, where wild-harvested meat typically can be sold and purchased in a formal market system,’ says Dr Riley. He and Dr Ericsson are working with wildlife managers and researchers to describe the yield, use and distribution of meat obtained by recreational hunting. In the state of Michigan, many hunters complete a yearly questionnaire – the Michigan Deer Harvest Survey – at the end of each hunting season. The team worked with the Michigan Department of Natural Resources to include additional questions about wild meat use and sharing in the 2013 mailing of the survey. Standard questions included the total number of deer and hunting equipment used, while the new questions asked hunters if they share their venison, who they shared it with (family, friends, etc. ), and asked them to estimate the total number of people they gave meat to. The researchers received 19,981 useable responses to the survey, and were able to estimate that 11,402 to 14,473 metric tons of wild venison had been harvested that year. At least 85% of hunters shared their yields with other people, with sharing most common with household members (68%), extended family (52%), and friends, neighbours, and colleagues (50%). The average hunter shared their wild-harvested venison with 5.6 people, creating a vast distribution network. The team’s work is helping natural resource and wildlife management organisations understand how recreational hunting fits in to the local ecosystem of human and wildlife interactions. As urbanisation increases, this knowledge will grow ever more critical in shaping legislative decisions that could impact hunting communities and practices around the world. The research being achieved through the international collaboration between Dr Riley and Dr Ericsson serves as a step toward greater understanding of the relationship between humans and nature, and the influence of different systems of governance. Dr Shawn Riley began his formal education at Montana State University, where he earned a BS in Biological Sciences, and a MSc in Fish and Wildlife Management. He worked as a practicing wildlife biologist in Montana for 13 years before taking a mid-career break to earn a PhD in from Cornell University with a focus on environmental economics and social psychology. He founded his current laboratory at Michigan State University in 2001, where he currently serves as Parrish Storrs Lovejoy Professor of Wildlife Management in the Department of Fisheries & Wildlife. 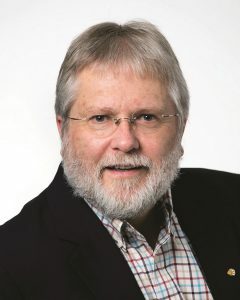 His current research includes causal factors in the decline of hunting; factors affecting acceptance of wildlife in suburban settings; social dynamics of sharing and receiving wild-harvested meat in US and Sweden; social perceptions of large carnivores in Sweden; and, factors affecting successful partnerships with state wildlife agencies. Dr Göran Ericsson started his research career at Uppsala University, earning an MSc in Biology. 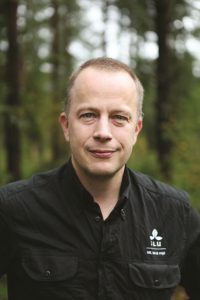 He continued on to the Swedish University of Agricultural Sciences to earn his PhD in Animal Ecology, forming his research group at the same university in 2002 where he currently serves as a fully tenured Professor in Wildlife Ecology and the Department Chair of Wildlife, Fish, and Environmental Studies. He has supervised nearly 50 graduate students in wildlife ecology, and developed advanced curriculum for undergraduate students called ‘Human Dimensions of Fish and Wildlife’. He maintains an active hand in research related to moose, interspecific competition, artic issues, climate change, and human dimensions of living with wildlife. 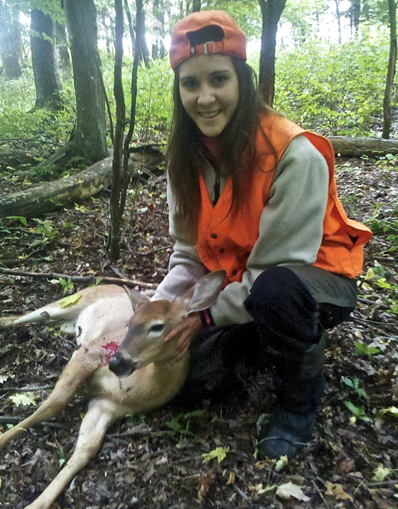 AD Goguen, SJ Riley, JF Organ and BA Rudolph, 2018, Wild-harvested venison yields and sharing by Michigan deer hunters, Human Dimension of Wildlife, DOI: 10.1080/10871209.2017.1409372. P Ljung, SJ Riley and G Ericsson, Game meat consumption feeds urban support of traditional use of natural resources, Society & Natural Resources, 2015, 28, 657–669. P Ljung, SJ Riley, TA Heberlein and G Ericsson, Eat prey and love: Game meat consumption influences non-hunter’s opinion of hunters and hunting, Wildlife Society Bulletin, 2012, 36, 669–675.